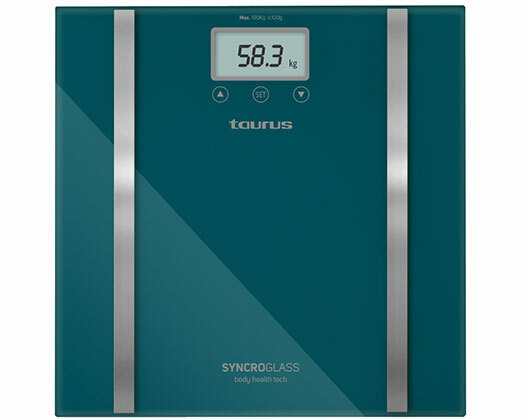 Home Products Taurus Bathroom Scale Battery Operated Glass Teal 180kg 3V "Syncro Glass"
Taurus Bathroom Scale Battery Operated Glass Teal 180kg 3V "Syncro Glass"
Taurus presents their new Syncro Glass bathroom scale. Maximum precision and control in your bathroom with the elegant Syncro Glass scale. Calculate your weight and measure the percentage of body fat and water in your body without margin of error. Includes memory for 10 people and automatic connection and disconnection. 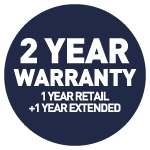 Its ultra slim design and its safety glass make Syncro Glass a practical and easy to store scale. Perfect for you and yours.